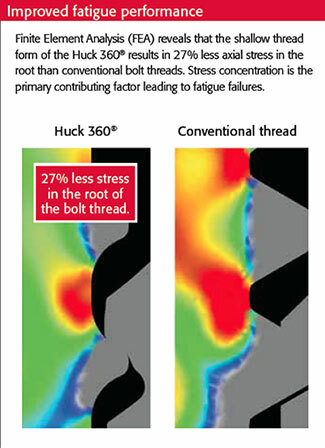 Finite Element Analysis (FEA) reveals that the shallow thread form of the Huck 360® concentrates 27% less axial stress in the root than conventional bolt threads. This stress concentration is the primary contributing factor leading to stress corrosion cracks (SCC) and fatigue failures. Click here to read the test report. 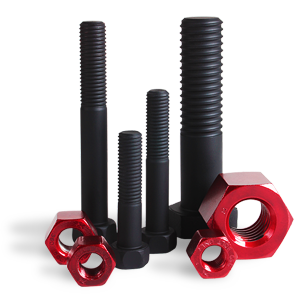 Severe service loads could compromise conventional bolts causing potential joint integrity failure. 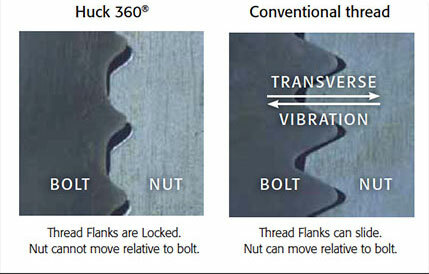 The Huck 360® superior fatigue is less likely to have SCC and help ensure less chance of failure under similar service loads.